Avon, CT. 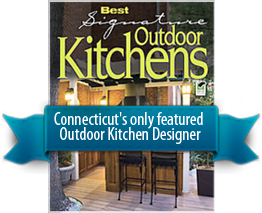 Surrounded by heavily treed terrain, these Connecticut homeowners wanted an al fresco addition that would allow them to take in the serene scenery in a more comfortable setting. 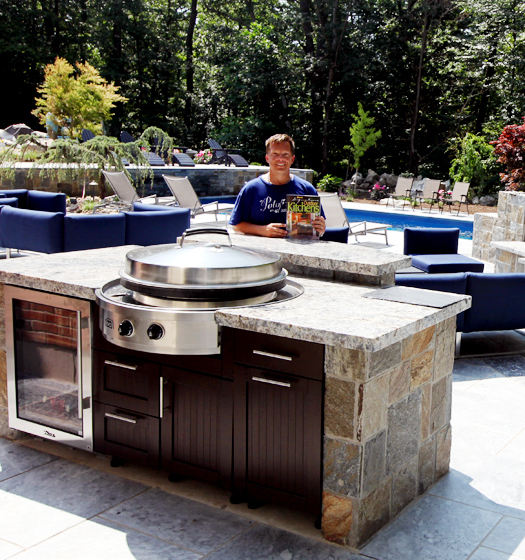 To carve out culinary and open-air living rooms on their lot, they sought the skills of renowned outdoor designer Michael Gotowala, president of Preferred Properties Landscaping & Masonry. With their list of wants and needs complete, the homeowners had one more request of Gotowala: to have the project complete and guest ready within a six-week time for an upcoming wedding. Getting started, the Preferred Properties team laid stone and brick for the groundwork to define the space and then continued with these materials to define the kitchen, fireplace, and spa built into a wall of fire. 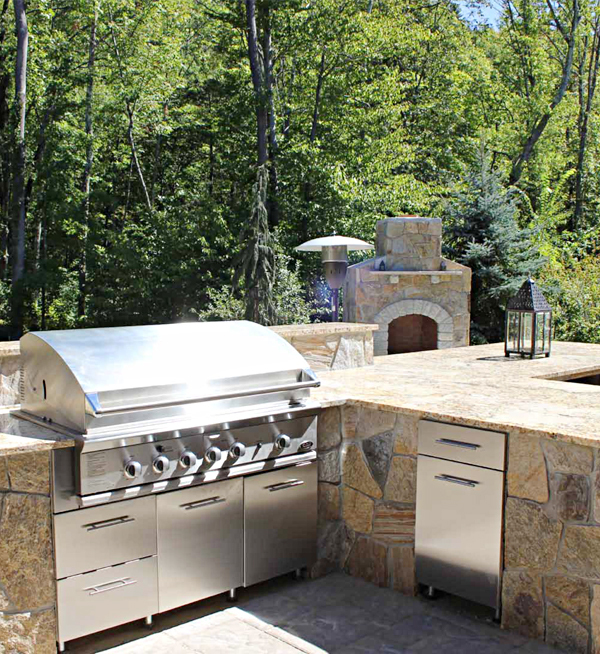 Polished yellow granite makes for a stunning surface atop the stone. Thoughtful entertaining inclusions such as a wine and beverage nook as well as the finishing touches of lush landscaping and accent lighting are examples of the quality work, stellar masonry, and design concepts that helped Gotowala exceed these homeowners’ expectations. And they were doubly thrilled that their new stone sanctuary was complete in time to serve as the scene of a beautiful September wedding.